ArtistShare, the internet’s first “crowdfunding” platform, has just launched Generations by The Brian Landrus Orchestra. 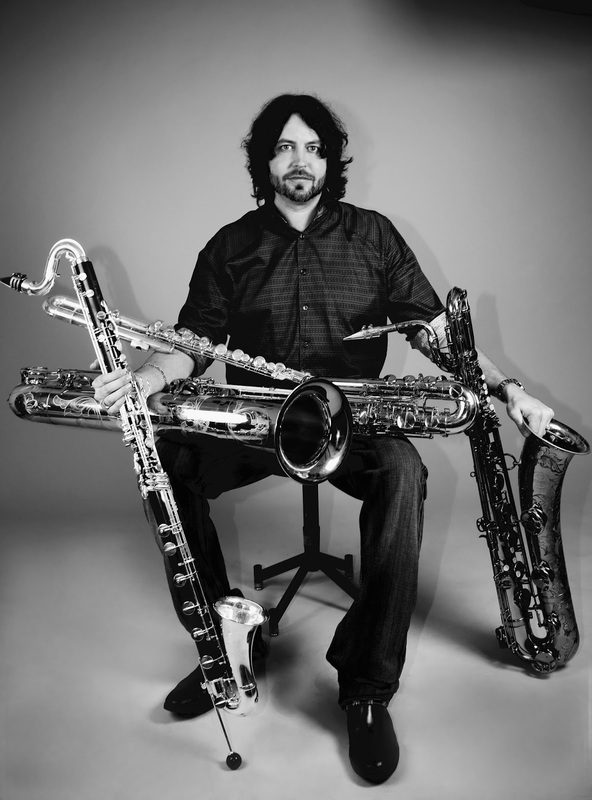 The project features composer, baritone saxophonist and low woodwind master Brian Landrus and a stellar 26-piece orchestra performing eight of Landrus’ compositions, the centerpiece of which is “The Jeru Concerto,” a four-movement work inspired by and written for Landrus’ two-year-old son. Other compositions on the recording include “Ruby,” written for Landrus’ four-year-old daughter and “The Warrior,” written for his dad. Musicians on the project include Landrus (bari sax, bass clarinet, alto flute), Jamie Baum (flute,alto flute), Tom Christensen (oboe), Darryl Harper (clarinet), Michael Rabinowitz (bassoon), Alden Banta (contrabassoon), Ralph Alessi (trumpet), Igmar Thomas (trumpet), Chris Komer (horn), Alan Ferber (trombone), Marcus Rojas (tuba), Chris Turner (vocals), Brandee Younger (harp), Joe Locke (vibraphone) Billy Hart and Justin Brown (drums), Sara Caswell, Mark Feldman, Joyce Hammann, and Meg Okura (violin), Lois Martin and Kallie Ciechomski (viola), Jody Redhage and Maria Jeffers (cello), Jay Anderson and Lonnie Plaxico (bass). The music will be conducted by JC Sanford with Brian Landrus and Bob Aldridge serving as producers. "We are living in extraordinary times for musicians and listeners alike," says Landrus, "So many genres and styles are colliding and influencing each other in amazing ways, creating compelling music that knows no boundaries or limits. Exploring these wildly interesting creative intersections is what drives my work. The compositions that we will be recording for Generations are diverse and complex. In the end, each musician will have the space to take off, and significantly contribute to project's collective power, power I hear in the streets and the concert halls, imagine in my head, and feel in my heart." The recording will have about 70 minutes of orchestral music. 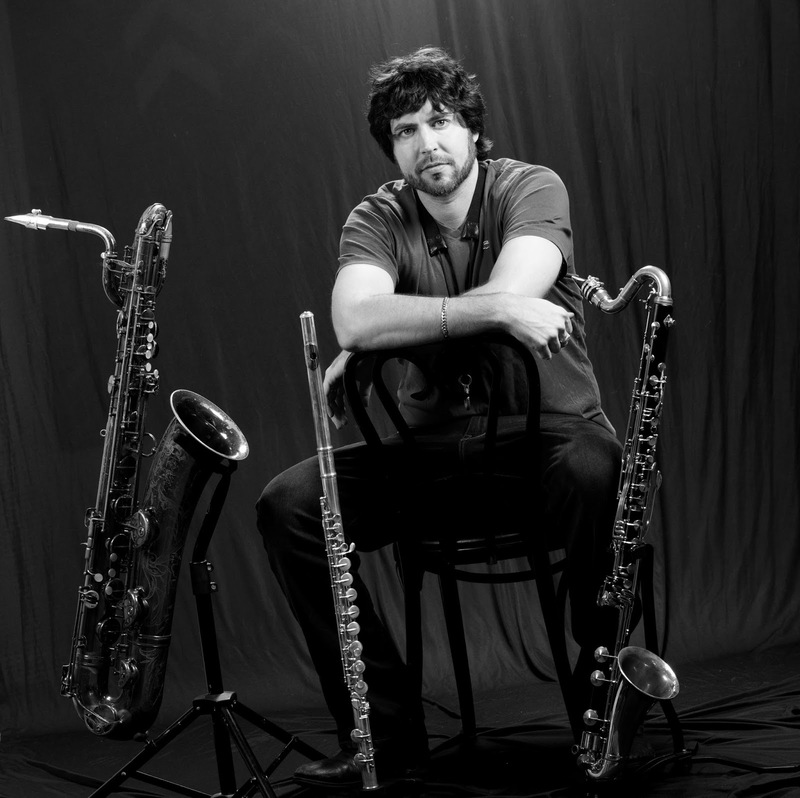 “The Jeru Concerto” is written for baritone saxophone and features a mix of jazz, classical, hip hop, and soul. The four-movement piece is about 20 minutes long. Landrus started composing the work right after his son was born. Once Landrus got to know Jeru’s “adorable, generous, and feisty demeanor,” he wrote the fourth movement. The concerto covers an extreme range and goes from the lowest the baritone sax can play up though the top notes of the altissimo range. 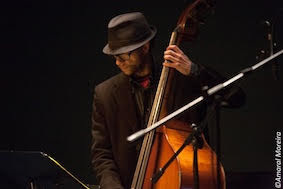 One of the most unique and powerful voices on low reeds and a composer of striking abilities, Brian Landrus has released six widely acclaimed albums as a leader, toured the world as part of star bassist-vocalist Esperanza Spalding's band and contributed to such ensembles as the Grammy-winning Gil Evans Project. 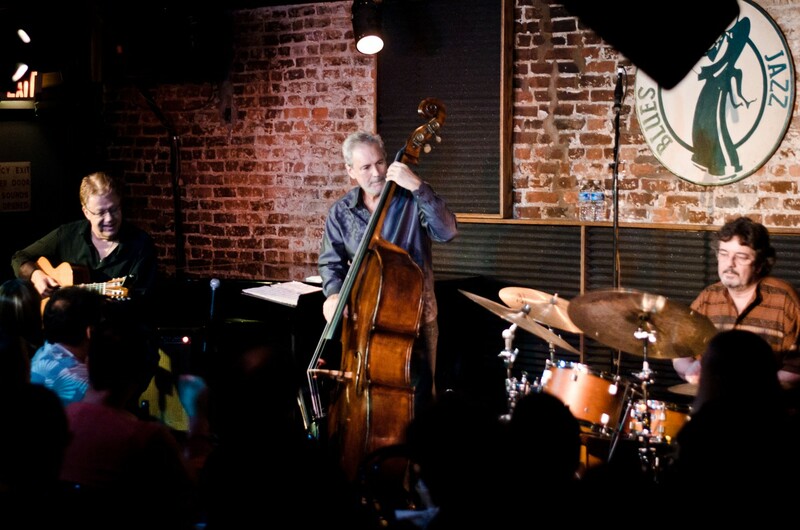 In addition, Landrus has performed with the likes of John Lockwood, Lewis Nash, Frank Kimbrough, Donny McCaslin, Steve Wilson, Jay Anderson, Matt Wilson, Maria Schneider, Rufus Ried, Uri Caine, Anat Cohen, Steve Swell, the Ayn Inserto Orchestra, Frank Carlberg, and Alan Ferber, among others. 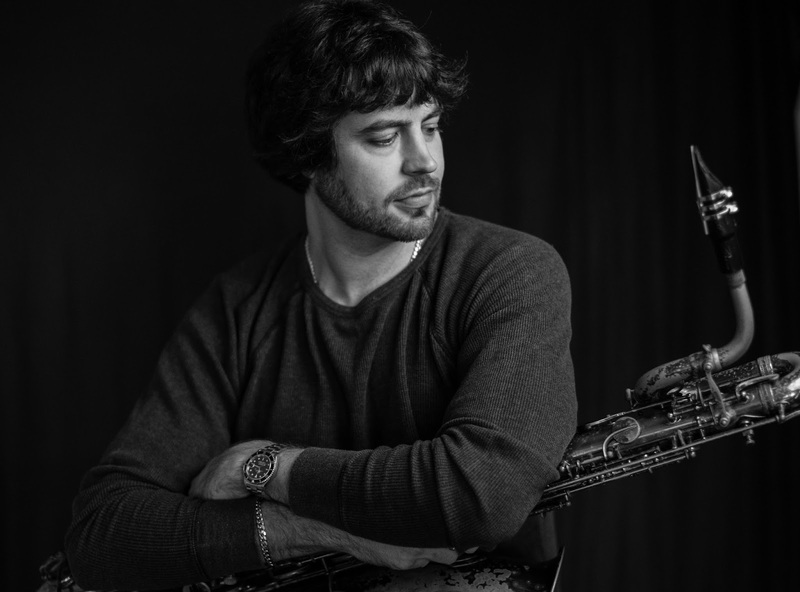 Landrus has been voted a Rising Star multiple years running in the DownBeat Critics Poll earning a spot as the #1 Rising Star in 2015 before moving up to the Baritone Saxophonist category in 2016, marking his place as one of the top bari players in the world. He's also earned a place on DownBeat's list for his bass clarinet prowess. 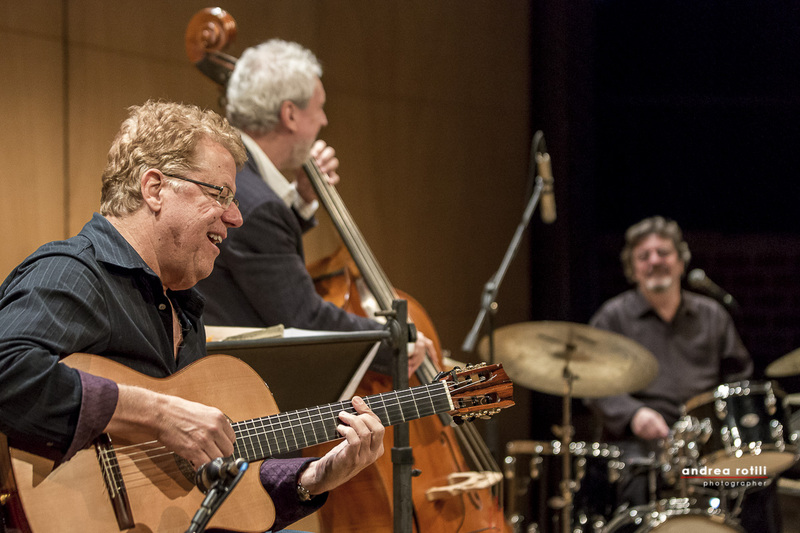 André Fernandes é um dos nomes mais marcantes no jazz português. 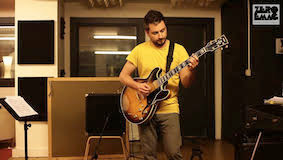 Com uma vasta carreira como líder e músico convidado, o guitarrista lisboeta conta já com registos com a Orquestra Jazz de Matosinhos, Lee Konitz, Mário Laginha, Chris Cheek, Maria João, Cyro Baptista, Ohad Talmor, Tomasz Stanko, Bernardo Sassetti, Dan Weiss, Pete Rende, Bill McHenry, Jochen Rueckert, Perico Sambeat, Jeff Ballard, Julian Arguelles, David Binney, AviShai Cohen, Eli Degibri, Jorge Rossy, Carlos Barreto, Akiko Pavolka, Jarmo Savolainen, Phil Markowitz e João Paulo Esteves da Silva, entre muitos outros, dos quais se destaca o último "Dream Keeper" em quinteto. Virá até ao Porto com uma formação intimista, para partilhar mais música original com a nossa cidade. SINOPSE é o quinteto liderado pelo músico madeirense radicado no Porto, João Paulo Rosado, compositor de todos os temas do álbum de estreia desta fomação. Este resulta da gravação ao vivo feita na Sala Porta-Jazz em Janeiro de 2016. Trata-se do 28º disco do Carimbo Porta-Jazz, e vai ser lançado neste concerto, de entrada livre, em mais uma produção conjunta entre a Porta-Jazz e o Comissariado Cultural da FEUP. 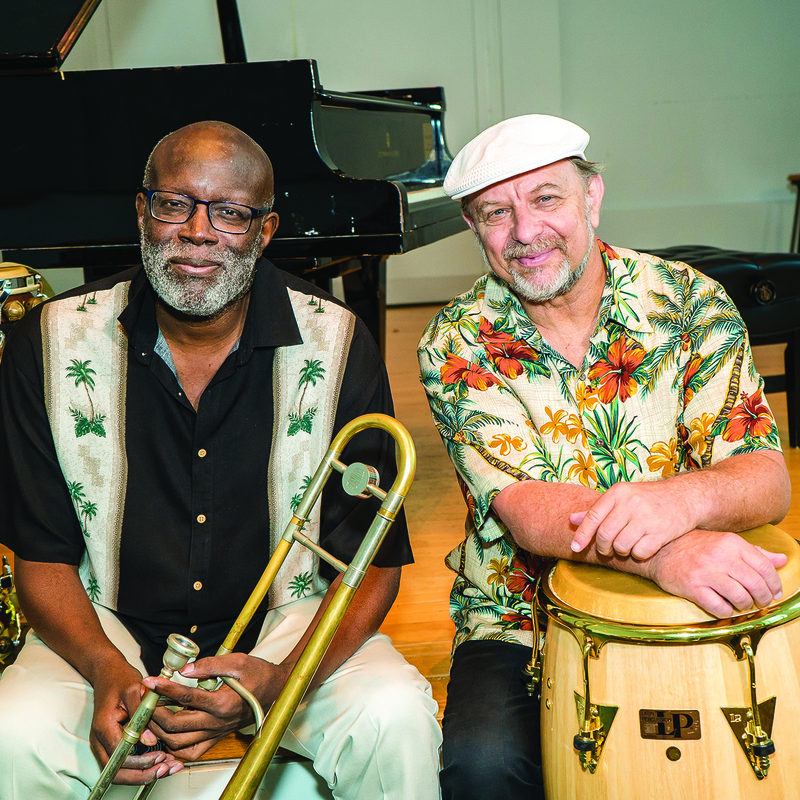 World-renowned trombonist Wayne Wallace and percussionist Michael Spiro have earned a GRAMMY ® nomination for “Best Latin Jazz Album” for their CD Canto América on the Patois label. The Grammy Awards ceremony will take place in Los Angeles on Sunday, February 12, 2017. "We are extremely proud of this recording, and would like to take the opportunity to personally thank the Academy and all of the musicians who participated in the making of this project,” say Spiro and Wallace. Wallace, Spiro and La Orquesta Sinfonietta (consisting of 35 performers, many of whom are affiliated with Indiana University’s Jacobs School of Music where Wallace and Spiro teach) weave a colorful tapestry of classic-to-modern rhythms – bolero to timba, Haitian petro to Cuban rumba, mambo to guiro – refreshed by traditional and newly composed compositions, along with surprising treatments of 20th-century standards. Thus the Great American Song “Stardust” is recast as a danzón, while the familiar John Coltrane vehicle “Afro-Blue” transforms into a Creole masterpiece. 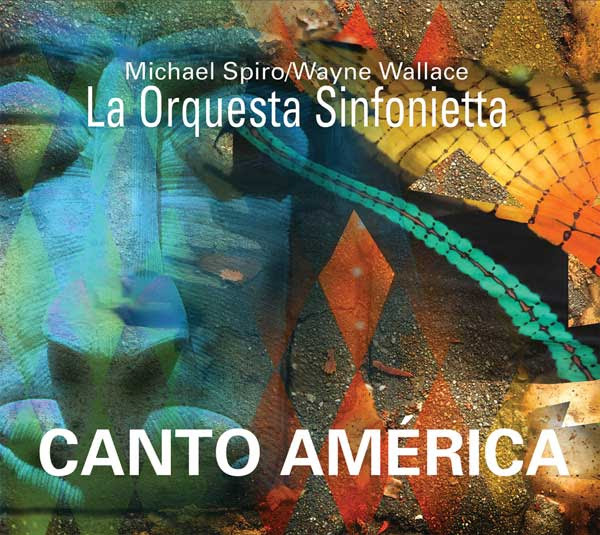 Canto América artfully balances African and Western influences by way of “a strong rhythmic base over which orchestral elements of European classical music are featured,” write Wallace and Spiro in their engrossing liner essay. But here, the rhythmic base combines folkloric rhythms with the modern grooves of Wayne Wallace’s well-established Latin Jazz Quintet. 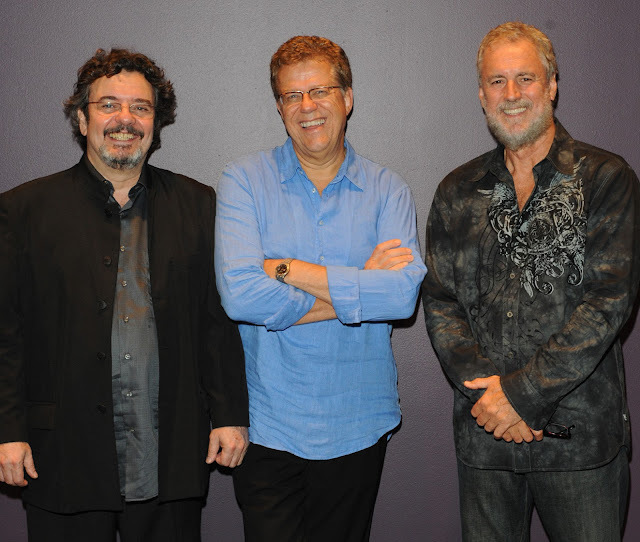 This fusion forms the foundation for Canto América, upon which the co-leaders use post-bop harmonies, emblematic compositions, and their own eclectic experiences to create music far removed from the usual Latin Jazz formats. In his four-decade career, San Francisco native Wayne Wallace has collaborated with artists ranging from Count Basie to Stevie Wonder, Sonny Rollins to Carlos Santana, Tito Puente to Lena Horne and Aretha Franklin – as sideman, composer, arranger, and producer. His debut album as a leader, 2000’s Three In One (Spirit Nectar), showcased his writing skills and his encyclopedic knowledge of Afro-Cuban rhythms, the result of years of music-making in the close-knit Bay Area jazz community, where Wallace has played an oversized role. He has earned particular notice for his approach to Latin Jazz, a vision shaped by his work with Latin Jazz percussion giants Pete Escovedo and John Santos, in whose Machete Ensemble he served as music director for more than 20 years. This is the eighth time that Wallace — a San Francisco native who splits his time between the Bay Area and the Midwest where he’s a professor at Indiana University's Jacobs School of Music — has been on a GRAMMY nominated album. Michael Spiro has performed on each of those nominated albums – a mere fraction of the literally hundreds of wide-ranging albums on which he has worked, which include GRAMMY-nominated albums by John Santos, pianist Mark Levine, and vocalist Karrin Allyson. He has also performed with Ella Fitzgerald, Carlos Santana, and McCoy Tyner. Internationally recognized for his expertise and his exploration of African and Latin rhythms, he has authored three books on Afro-Caribbean percussion. The first album under his own name, BataKetu (with Mark Lamson), released in 1996, was named by DRUM! Magazine as one of the “Top 50 Drum Records” of all time. Wallace and Spiro met more than 30 years ago in San Francisco, forging a personal and professional relationship tempered by their shared interest in the music of Cuba. 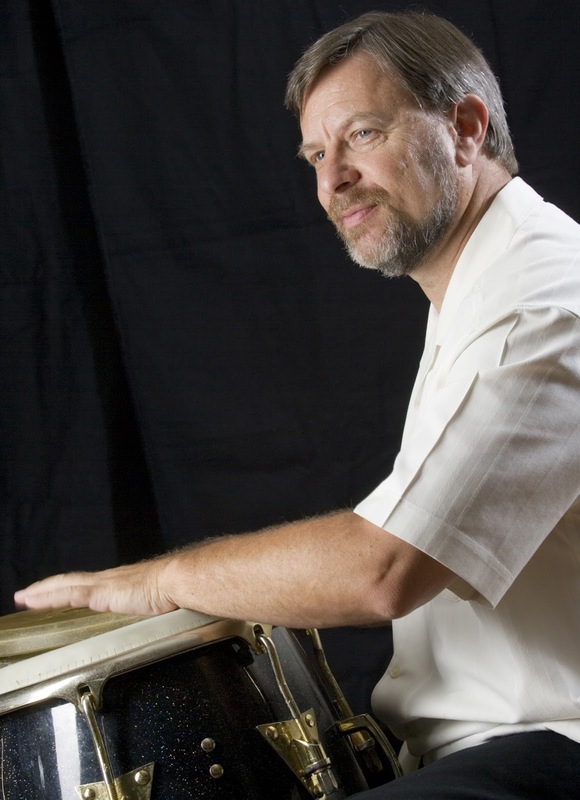 In 2008, Spiro joined the faculty of the Jacobs School of Music at IU, and under his direction the percussion department grew from its emphasis on orchestral work to include the world’s rhythms. 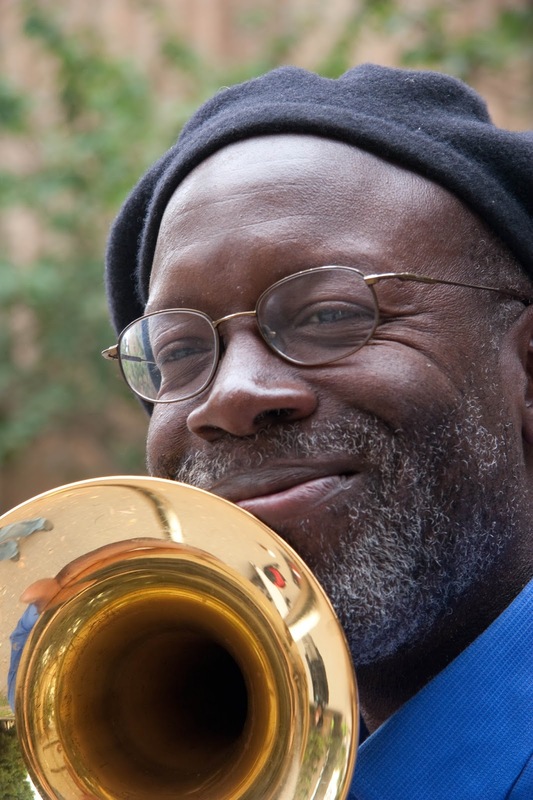 He soon began leading a Latin Jazz big band at the school, which used many of Wallace’s acclaimed arrangements, which led to a guest appearance with the band -- and eventually to the school hiring Wallace as a professor in 2013. Best Latin Jazz Album Grammy Nomination For Trio Da Paz "30"
o 30, their seventh album and ZOHO debut release, wastes no time glancing back. Rather, Trio da Paz celebrates the past as a way to get to what's now and what's next. This is not to imply that the band or 30 denies history. As friends, Duduka, Romero and Nilson are utterly secure in their enduring triangle, and as musicians they tap well-established elements of bedrock Brasilian samba and bossa nova -- the music of Jobim, Gilberto and Bonfá -- as well as bebop and its developments, Wes Montgomery, third stream and even free improvisation for ingredients of their signature sound. Romero's urban gypsy melodies and percussive chording, Nilson's firm yet flexible baselines and Duduka's rhythms -- which, whether surging or simmering, are always energized -- flow fast and inseparably over the course of 30. Bob’s experience with Buddy Rich clearly instilled a sense of the drums providing the big band’s engine. Peter’s impeccable rhythmic sense and consummate artistry provide the mortar that fortifies the structure, while also stirring the kettle to properly cook all the ingredients in the brew – whether driving powerfully, enhancing subtly, rocking or stomping as demanded by the music. 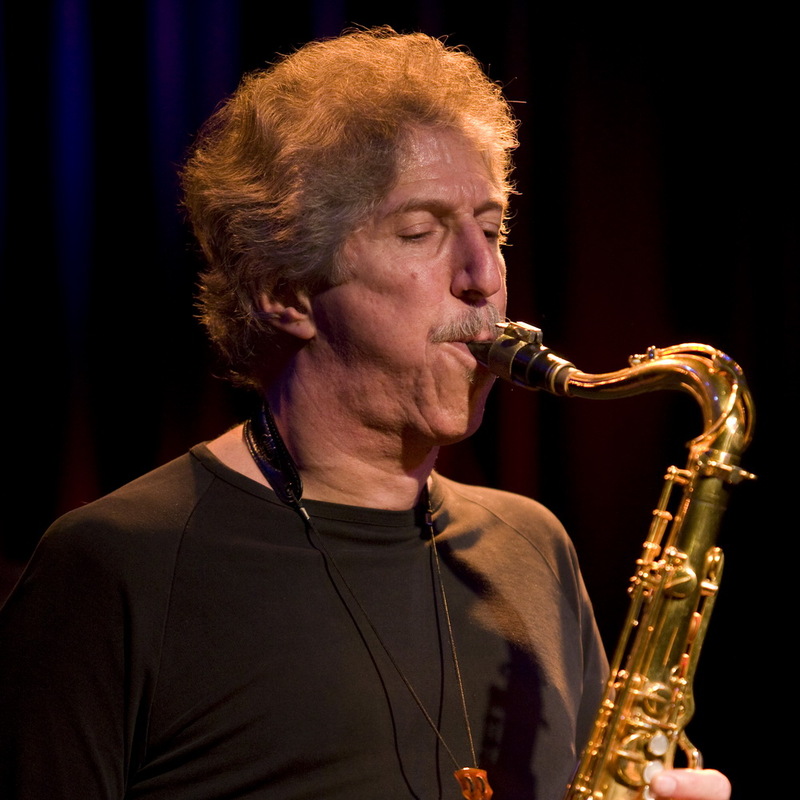 While there is solo space for a number of the musicians, Bob’s virtuosic tenor is the key ingredient – muscular, passionate, adventurous, lyrical and urgent – dancing and interweaving in perfect synch within the rich textures of the horn parts that are constantly in motion creating a vibrant and exhilarating atmosphere for every tale told on this album. Afro-Cuban influences have been a major part of orchestral jazz since the 1940s when Machito and Mario Bauza poured the foundation and Dizzy Gillespie and George Russell built upon it. There are three pieces rooted in that style here, crossing it with sheer swing in a manner that evokes the spirit of another West Coast legend, Gerald Wilson. The album’s opener El Caborojeño features percussive, layered horn lines in rich syncopation. Spirited horn riffs cushion a lyrical Cuban/hard-bop trumpet solo by Stever and punchy, deeply grooved simmer-to-boil blowing from Mintzer. Ellis Island is a 6/8 excursion built on vividly intricate interplay between brass and reeds, with a fluid baritone solo by Schroeder caressed by swirling horns and buoyed by darkly luminous low brass. A blending with R&B and a touch of calypso is at play on Latin Dance and features Bob’s tenor in a hollerin’ conversation with trombones, McChesney’s trombone solo driven by counterpointing horns and flared with a trumpet fanfare, and a vigorous drum solo rooted by deliciously suspended horn lines. A different Caribbean island adds a spice in the reggae-tinged Original People with a gentle groove that blends easy swing with the inside-out reggae rhythmic approach, providing a relaxed setting for smoothly lyrical tenor and trumpet solos. At the other end of the thermometer, Runferyerlife is a rip-roaring be-boppish romp with Bob’s tenor roaring through, around in, out and under the horn lines into a scorching solo. McChesney’s blistering trombone solo follows and a robust drum solo pitted against the horns closes it out. Mintzer has been a member of The Yellowjackets for over 20 years, so it makes sense that soulful R&B would be the flavor for three items neatly blended with the swing feel. New Rochelle (originally written for that group) opens with baroque-ish brass before easing into its R&B groove, providing the setting for Bob’s soulful sojourn in the territory so often staked by Hank Mobley and Stanley Turrentine. Slo Funk written by Bob for the Buddy Rich band swings mightily over a half-time funk bottom with Bob Sheppard taking a barking alto solo so funkily rooted in Maceo Parker territory that one might expect to hear Fred Wesley chime in beside him. That marriage of pure swing and R&B is most appropriate on Home Basie, which could be a portrayal of the Count meeting the pre-funk big band James Brown and the Famous Flames. Punctuated by syncopated horns, Mintzer’s solo pays homage to King Curtis and Junior Walker. A more traditional Basie influence is at hand for two pieces. Havin’ Some Fun was composed in the classic Count Basie style – from that smoothly dulcet Neal Hefti Li’l Darlin’ angle of perspective. Bob’s tenor does a captivating dance with the horns, and Schroeder offers a lyrically virile baritone solo. The album’s extended closing track Tribute was conceived to honor the many immortals who came out of the Basie band – most specifically, the legendary Thad Jones, who made his own mark on the big band legacy holding his own court along with Mel Lewis in their co-led orchestra at NYC’s landmark Village Vanguard from the mid-sixties through the seventies. An excursion in blue swing, launched by Ferrante with that profound Basie blues simplicity, it features a deeply soulful Mintzer and Stever’s very Thad-ish homage – providing a perfect ending to this truly wonderful album. Special note must be made regarding the peerless lead trumpet playing throughout by the legendary Wayne Bergeron.